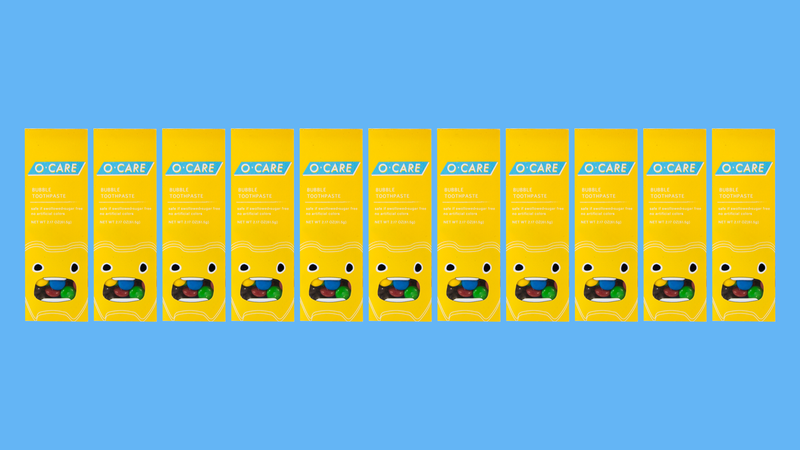 O-Care is dissolving toothpaste for kids who become disengaged before having brushed their teeth for two minutes—the recommended time by dentists. Children can pick a quick-to-dissolve chew from the box, but each chew's color does not indicate its flavor. Kids first mentally disengage from brushing their teeth and then physically stop before brushing for 2 minutes—the recommended time by dentists. They either become distracted or disinterested from the task and the nightly routine. We visited the homes of four boys and one girl, all under 12 years old. We asked them and their parents to show us how their nightly routines and observed them as they got ready for bed. 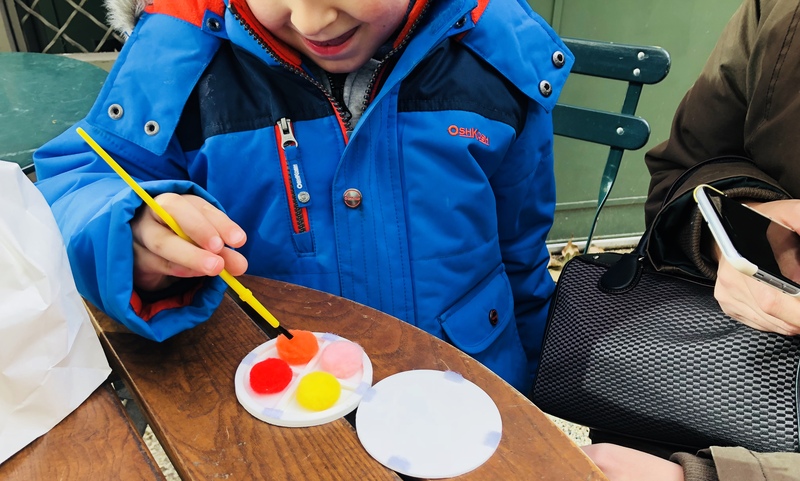 After seeing how their kids performed oral care, we observed their parents and asked about their family's eating habits and how they talk about oral health with their children. 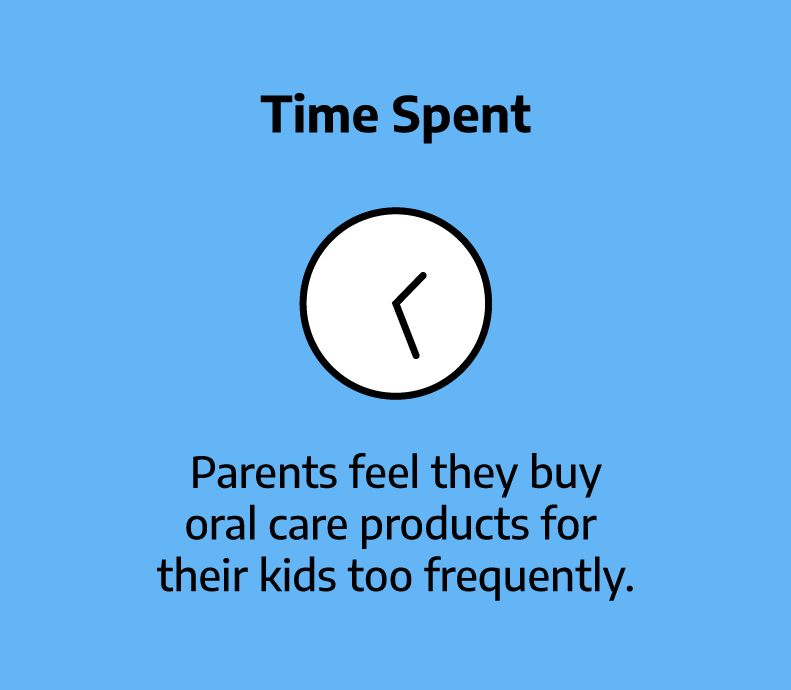 Our questions centered around how they buy oral care products for their kids, how their kids influence the buying decisions and how their oral care routines respond to having or not having influence on these decisions. 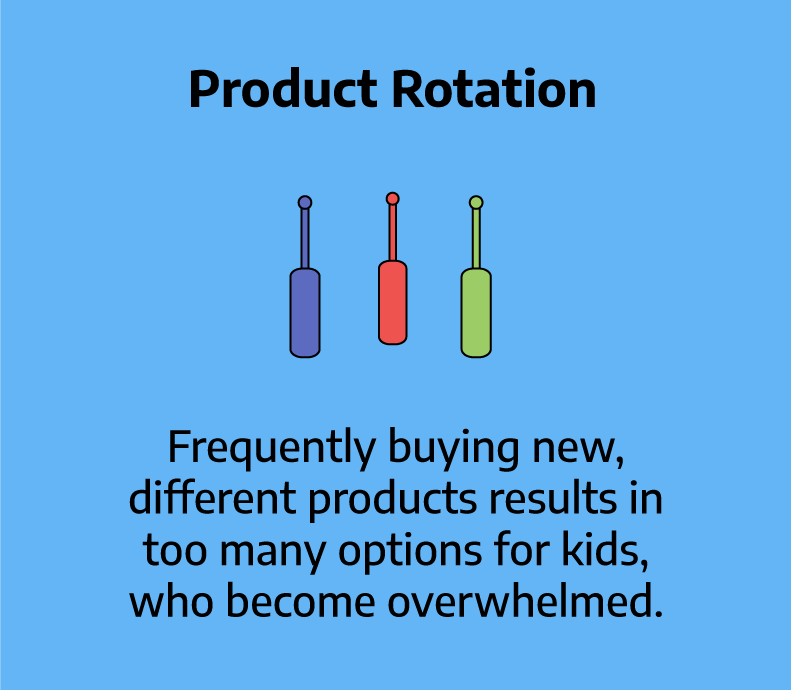 A kid's favorite color changes all the time, and so they constantly ask their parents to buy them toothbrushes with their new favorite color. If the toothbrush isn't in their new favorite color, they will be reluctant to use it and disengage before brushing for 2 minutes. We constructed How Might We statements from our insights, ideated, and prototyped sacrificial concepts to test with users in the field. Kids loved surprise of opening the container and seeing all the different colors. They immediately engaged with all the colors and said they imagined them as flavors. Parents wanted new, fun ways to get their kids to brush their teeth. 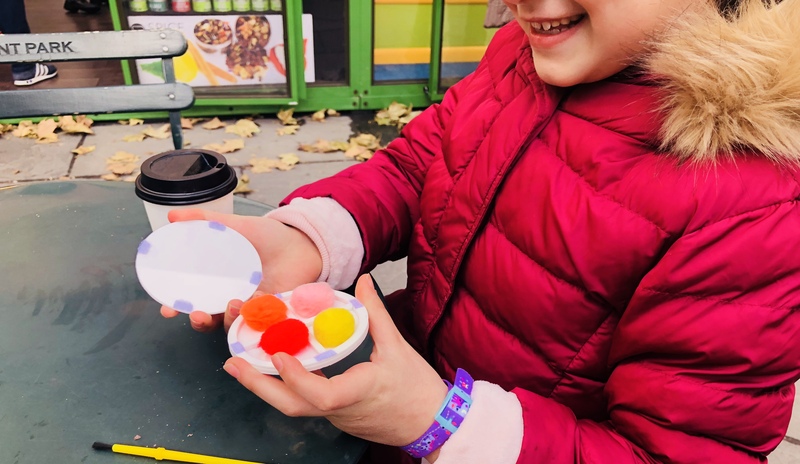 They liked the colorful elements of our prototypes and involving the element of chance in their kids' nighttime oral care routines. We presented the idea of a 'color and taste roulette toothpaste' product to several subject matter experts. 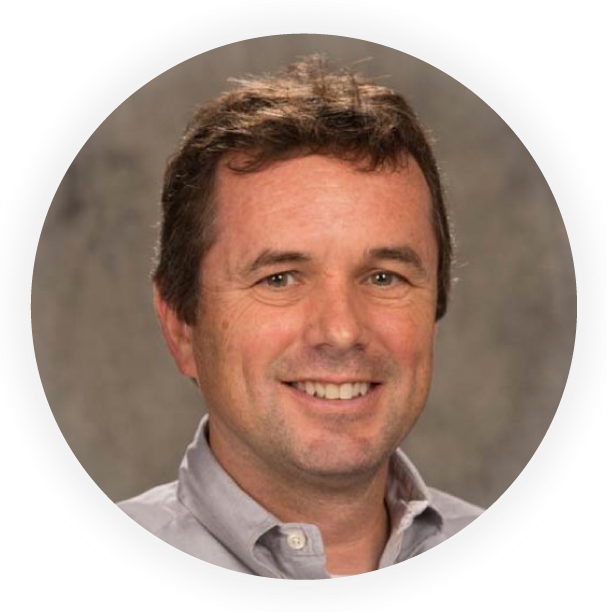 Robert Gambogi, a former researcher at Colgate, whose current work with J&J involves validating breakthrough technologies to address consumer needs, endorsed our idea and its feasibility. He told us to mismatch the colors and tastes to make the toothpaste taste even less predictable, and so make the process of nighttime brushing feel less like a chore and routine. Boutique products are winning the day. Senior Research Director and Fellow at Johnson & Johnson Consumer Inc.
Our solution intervenes in the core toothbrushing engagement—the breaking apart of toothpaste with the brush inside the mouth. 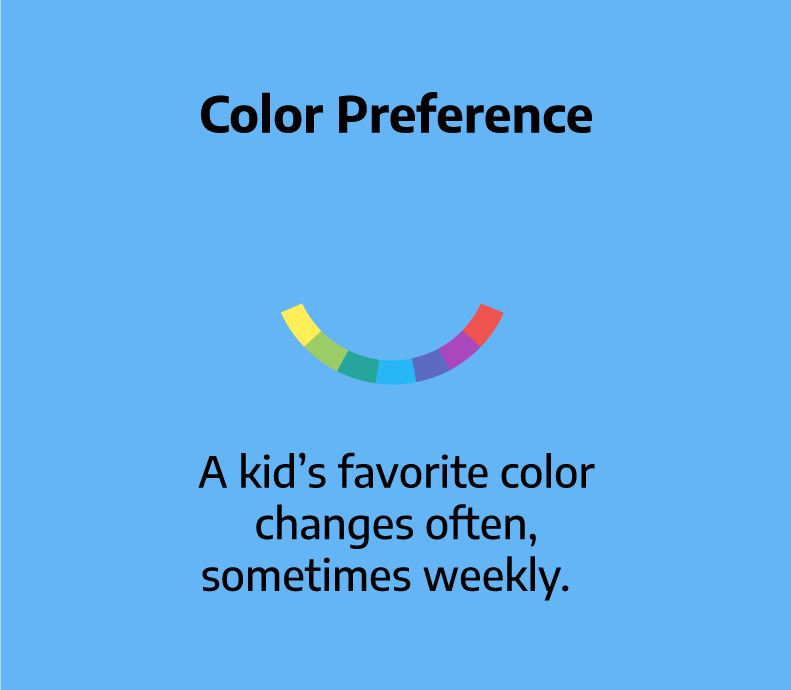 We decided we couldn't avoid the fact that kids' color preferences change constantly. 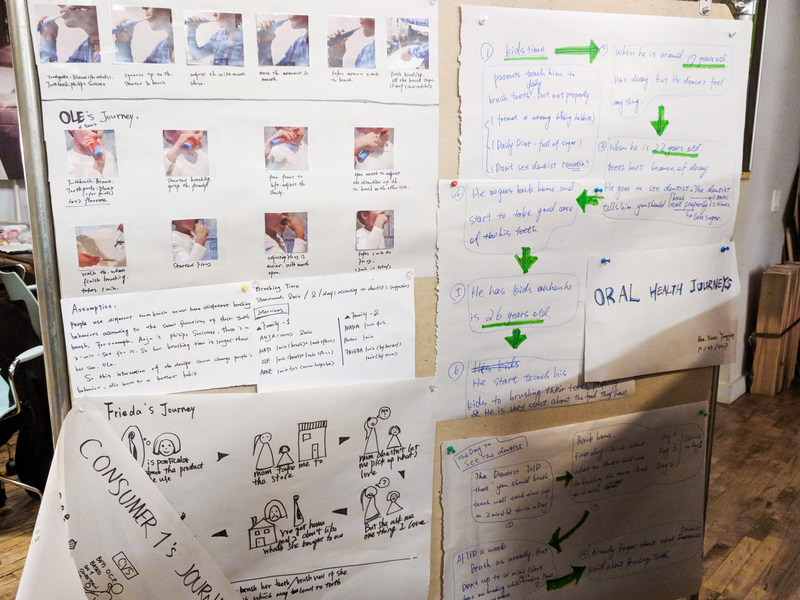 But by using the insights we gained from users and applying them to the core engagement of toothbrushing, we could achieve engagement for 2 minutes by children. 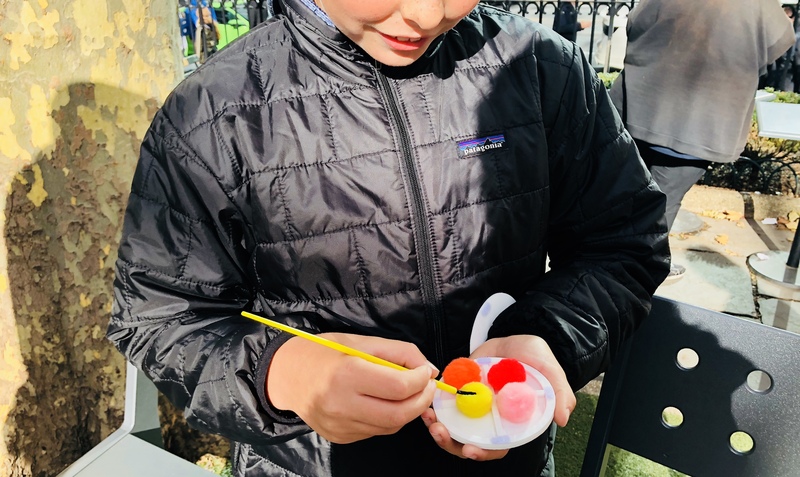 We created a sensorial experience that leverages color and flavor. We added the element of chance by mismatching colors and the flavors we associate with them. 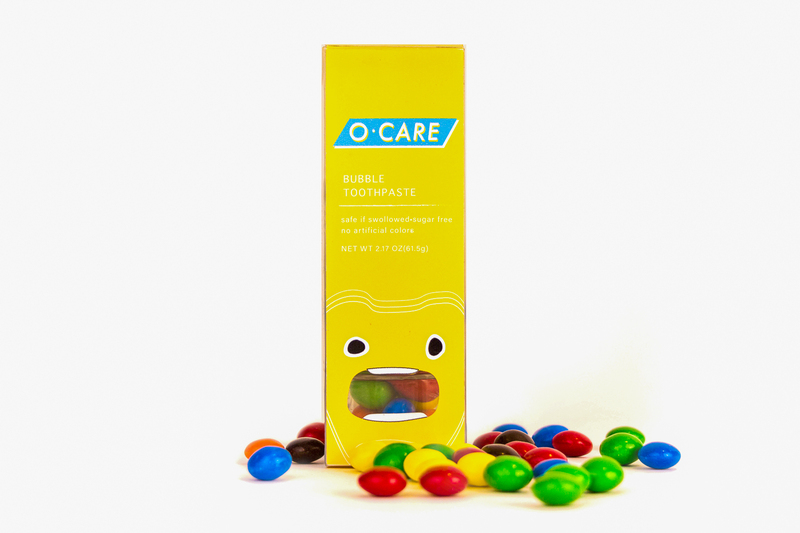 O-Care's anthropomorphized container dispenses its dissolving chews from its mouth. Push the flap to collect a chew. Plop it in your mouth and begin brushing or chewing. Your saliva can dissolve it on its own, or you can break it down by chewing or brushing. Once it begins to dissolve, you'll be able to taste its flavor, which releases slowly. The flavor peaks at 1:30 seconds. Once the user reaches the flavor-peak, they will continue to engage until the flavor drops off significantly at 2:10 seconds.